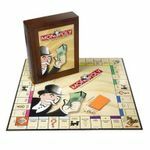 I just saw something on BGG that I thought was fairly surprising. It made me wonder whether others would be able to find it. Item #1 in this list will be a quest for others to try find it (or something that beats it). Feel free to add other items describing hunts for users to try to find! For this question, we are looking for a user. We are looking for someone who only gives out ratings of exactly 10. There are a few users in this category, but among those who only give out 10s, who has given out the most? (If they've also given out N/As, that's ok--I'm just talking about non-zero ratings) I'm not actually sure, of course, but I have one in mind, and I'm curious if anyone can find someone with more. For an entry, post the number of 10s and username. Edit: I'll put up 5 for anyone who finds the user I did, and 10 for anyone who finds a user with even more. A user with a collection of over 8000 games. For this question, we are looking for someone that has over 8000 games listed as "owned" in his BGG collection. Post the username and number of games presently in his collection. A user that has spent over 1 million GeekGold. For this question, we are looking for a user that has earned and spent over 1 million GeekGold. Post the username and the amount of GeekGold he has collected and has spent. A user that has more than 14,000 thumbs up for Files. For this question, we are looking for a user that has received more than 14,000 thumbs up for contributions he/she has made by uploading Files, one of the more valuable but lesser rewarded parts of the site. This should prove a fairly easy find, I suspect! Post the username and the amount of thumbs received for Files. 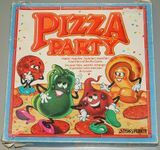 For this question, we are looking for a BGG photo that features a game board made out of a real pizza. Hint: the game does not have any pizza related theme! 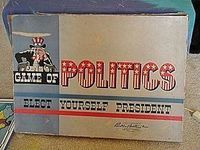 For this question, we are looking for a BGG photo that features a political leader playing a game. Your job is to find a BGG photo that is not photoshopped, yet features a real-life political leader playing a game. Hint: The image in question was posted in 2007 by a BGG user from Turkey. For this question, we are looking for a BGG photo that features a game being played somewhere in actual outer space, in zero gravity conditions. For this question, we are looking for a BGG photo that features a game being played by a human skeleton. Should be a fairly easy find!